Tyria is past the point of recognizing the threat posed by the jungle dragon Mordremoth. The world’s leaders are now relying on Tyria’s heroes – players and the iconic heroes who fight by their side – to help them go on the offensive against the threat from this elder dragon. As the trailer hints, what they’ll soon discover in “Tangled Paths” could be the key. You can view the new teaser video for Season 2 Episode 6 here: https://www.youtube.com/watch?v=azfYckZFdjk. 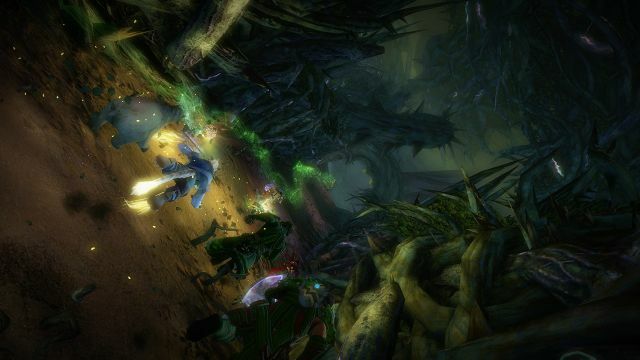 To learn more about the Living World of Guild Wars 2, visit: https://www.guildwars2.com/en/the-game/releases/. As its second round of Alpha testing comes to a close, Stormthrone: Aeos Rising will enter Open Beta on Tuesday, April 14th at 10:00 AM EDT.